The success and the satisfaction of our customers is our paramount objective. We want to obtain positive results for our business and secure jobs. We trust in the skills and competence of our employees and encourage the retention of our employees and their further training. Health and safety as well as the protection of the environment are important elements of our corporate policy. For us quality, adherence to schedule and a practical approach have absolute priority and are the prerequisite for functional, first-class products. It does not matter whether the order is for specials, very small quantities or a large production run. We are flexible and supply quality on fair terms. 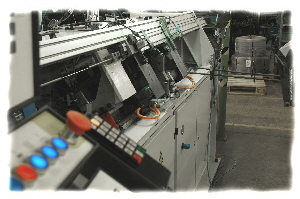 We manufacture to drawing, sample or customer data. From tool making though production to packaging and storage, we offer you a work process that meets all requirements down to the last detail. Our customers from the various sectors value our experience and our abilities. As a result we supply, e.g. 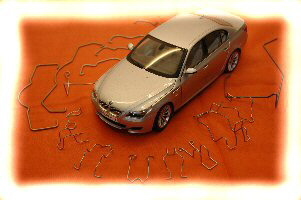 the car industry and the construction industry, as well as the agricultural trade and the window and shutter industry. 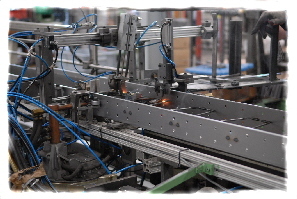 For decades we have been designing and building bending machines in-house for our production. Our internally developed bending machines are ideally suited to medium to large production runs due to their large volume output. 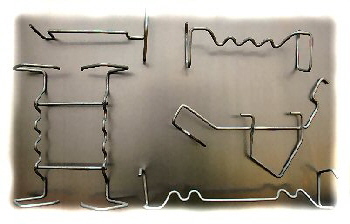 Our many years of experience in machine construction and the usage of modern technology are the key for efficient solutions in the bent wire sector. 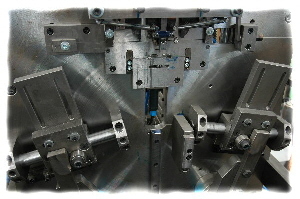 For small production runs, as well as for large 3D parts up to 2.8 mm diameter, modern, computer-controlled two-head bending machines are available. Due to the complete programming of the components on the PC, we are also able to manufacture complex bent components for you in a very short time. 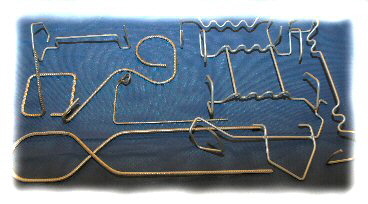 Not every component fits on our existing production machines or consists solely of the raw material wire. For this reason, our in-house machine department manufactures custom machines for the production of the required parts, in close collaboration with the customer.